What’s in the head of John Matrix as he rows his inflatable boat? What does Robocop’s inner self look like? Or, about how tight a ninja suit is for an American soldier? If so (certainly, not), neither Commando nor RoboCop or American Ninja movies will help you find the answer. Literature will. Novelization is an attempt to translate popular movies plots into the fictional prose language. Novelizing movies is less popular today. Unlike a million strong runs of Star Wars and Alien in the ’70s, only top 20 movie bestsellers turn into books today. Yet, socko still happens. For example, the novelization of Godzilla, that was featured in The New York Times Best Seller List for mass-market paperbacks. Everything was different 20 years ago. The media tie-in book market was humming. And not only in the USA. Book, video game, and cinema businesses looking to capitalize off a giant hit often skate the rules when it comes to surplus profit. But there were also cases when the rules were entirely thrown out. Welcome to the bookish helldorado, the brave new world of the post-USSR business wheeler-dealers. The world without rules and controls, with no borders or boundaries. The world where anything is possible. 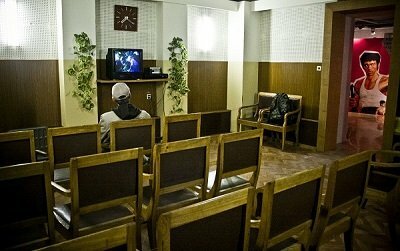 Take a blockbuster, blown by local video rental shops and video rooms (small room packed with TV, VCR and seats). Assign cheap writers to copy the movie frame by frame, enhancing its familiar (stolen) storyline with their imagination. Coin an English-like pen name. Wrap it up in a jazzy cover with recognizable characters/actors on its front fly-leaf. Entitle it like a boss (Hollywood Bestsellers, for example), launching an edition of over 100500 copies. Bring it to local bookstores. Wait for the cash flow to roll in. You are what you read, so be careful. Certainly, it wasn’t first or last time someone tried to steal an idea and make money from someone else’s talent or brand. For example, many know the cases of Alexander Volkov’s “The Wizard of the Emerald City” (“Wizard of Oz” spinoff) and Aleksey Tolstoy’s “The Golden Key, or the Adventures of Buratino” (interpretation of “Pinocchio”). 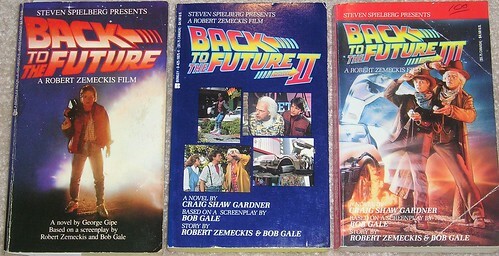 Some books were like two peas in a pod with movies, copied word for word without reference to existing official novelizations that could be translated from English. You want proofs. Nuff said. It would be funny to find a movie version of a book based on a film made after a book itself. I think such works would find their fans, too. Trashy books deserve to exist somewhere in a row between Batman’s mask and The Avengers’ poster. But why to make them even trashier? The ugly truth is, people buy.